My favorite day of the year is Christmas Day. When I was a kid it was probably (mostly) because of the gifts but now, as an adult, it’s my favorite because of all of the uninterrupted time we have together as a family. The days leading up to Christmas may be chaotic with last minute wrapping, grocery shopping, holiday parties and everything else, but on Christmas Eve we start to slow down and then Christmas Day we really slow down. Our day starts early with our boys, clad in matching Christmas jammies, coming in to wake us up. Daddy normally wants to snooze a bit but I sense their excitement so I hop out of bed to make sure everything, including my camera, is ready for the moment they come running out to see what special holiday surprises there are. The boys head to the fireplace to see what Santa has brought them. They each get a gift or two from Santa and then a stocking full of candy, little trinkets and toiletries. After that they check to see if Santa ate his cookies and drank his milk and check our cat’s stockings to see what little toys Santa left for our fur babies. After stockings, it’s time for breakfast. This is a tradition that my parents started when I was younger and I continue with my own kids. While my dad cooked a big family breakfast we’d get dressed for the day (and I’m pretty sure this was the one day a year that my three siblings and I got ready without having to be prodded to “hurry up”). Nowadays, we stay in our holiday pajamas all day but we do go and make ourselves a bit presentable for pictures while breakfast is cooking. This tradition of breakfast before gifts is one of the most enjoyable parts of the day since we generally don’t get to sit down for family breakfasts. We have a variety of breakfast foods but the best part is the breakfast casserole that Sinisa makes. He usually prepares it the night before so it’s simple to pop in the oven Christmas morning. We are all about keeping it easy over here! This year he is making a casserole with eggs, cheese, sausage, hash browns, peppers and onions. We made it for a quick dinner this past week, to test the recipe out, and the kids ate it, peppers and all. I’m sharing the recipe because if you are looking for an easy casserole idea for Christmas morning (or really any busy day this holiday season) this will be perfect! 1) Cook the sausage according to the package. We like using the Jimmy Dean® Refrigerated Sausage because the fresh, high quality pork sausage is made with a unique savory blend of Jimmy Dean® signature seasonings which really gives the casserole a great flavor and keeps the ingredient list low. NOTE: You can cook the peppers and onions with the sausage if you’d like to or you can add them to the recipe raw. 2) Add ingredients into a large casserole dish, layering them. We put uncooked hash browns on the bottom, added a layer of sausage and vegetables next, then poured the eggs evenly over the casserole before sprinkling the top with a generous layer of shredded cheese. 3) At this point you can either put it in the fridge if you are making it the night before or you can stick it in the oven. We cooked our casserole (in a covered dish) for 35 minutes at 400 degrees. Keep in mind that oven times vary so you’ll want to temp it and make sure it reaches an internal temperature of 165 degrees. That’s it. So easy but so delicious! 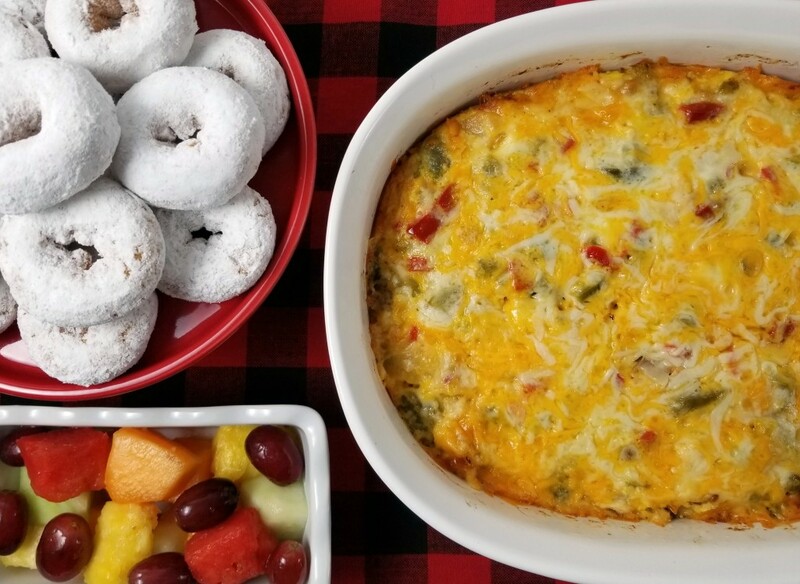 We had “breakfast for dinner” the other night and served this casserole with a side of fresh fruit and doughnuts for dessert. On Christmas morning, after we enjoy our breakfast as a family, we open gifts. The boys play with their new toys while we sit in front of the fire together. We play some of their new games they received and just relax in the glow of the twinkling lights on our Christmas tree. It’s the perfect day. 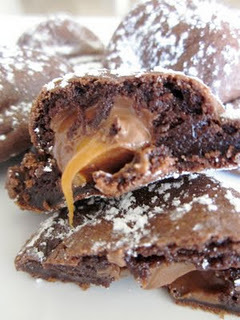 Want to recreate this recipe? Find all the ingredients you need for this breakfast casserole at Meijer. Tyson® products, like the Jimmy Dean® Refrigerated Sausage, are perfect for all cooking occasions and all holiday season long. Remember that the holidays mean many moments and many meals to share so make sure to stock up on things that will help you create easy meals so you are spending less time in the kitchen and more time with your family. How do you spend Christmas morning? 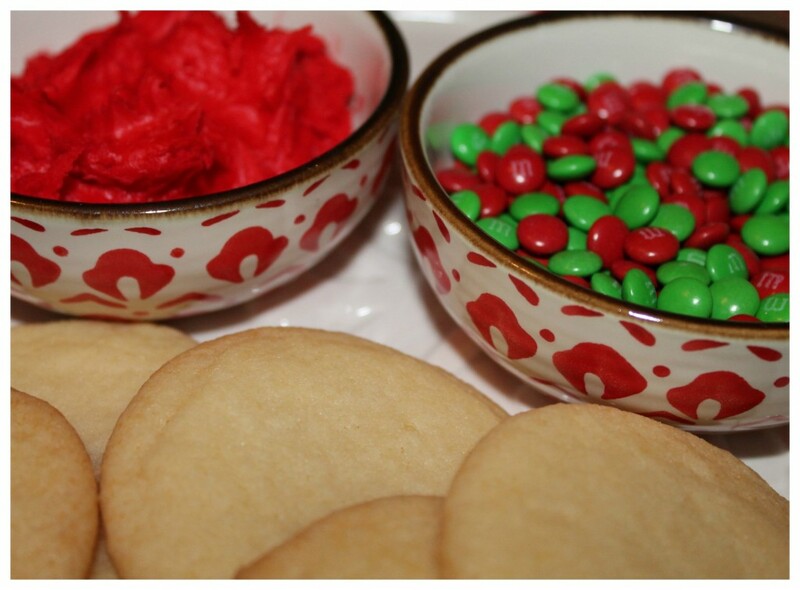 I’d love to hear about your family’s holiday traditions and any delicious meals you make! It’s no secret that Starbucks® is my go-to coffee brand. Ever since my boys were tiny (when I was lucky to get a few hours of sleep each night) I needed a good (strong) coffee to get me through my day. Nowadays, I get a lot more sleep since my boys are in elementary school, but I still enjoy my daily cup of Starbucks® Coffee. With the holidays quickly approaching I thought it would be fun to put together a coffee bar. I kept the decorations simple, going with a plaid tablecloth and red and wood accents. I love the “baby it’s cold outside” theme as well so I included a cute sign to encourage my guests to enjoy a warm cup of coffee. Along with the Starbucks® Holiday Blend 60ct K-Cup® pods, I added a jar full of Lindt Chocolate Assorted Lindor Truffles and some little glass jars of add-ins including nutmeg, sugar and crushed peppermint pieces. I also made stir spoons out of the truffles because what is better than coffee and chocolate? The sweet, rich taste of Lindt Chocolate Lindor Truffles brings out the sweet maple flavor of Starbucks® Holiday Blend Coffee. The last things you’ll want to add to your coffee bar are holiday mugs. I love big mugs and this one with the words “choose joy” is one of my favorites! Once your coffee bar is all set up you will *have* to test it out. Let the scent of coffee brewing fill your room as you sneak a truffle! If you entertain often, I’m sure you know how fabulous buying in bulk is so you’ll be happy to know you can find both the Starbucks® Holiday Blend 60ct K-Cup® pods and the Lindt Chocolate Assorted Lindor Truffle Bag at your local Sam’s Club in the coffee and candy aisles. You can enjoy 50 bonus stars with purchase of any one qualifying Starbucks® packaged coffee or K-Cup® pods at Sam’s Club through 11/1/17-12/26/17. How are you preparing for the holidays? 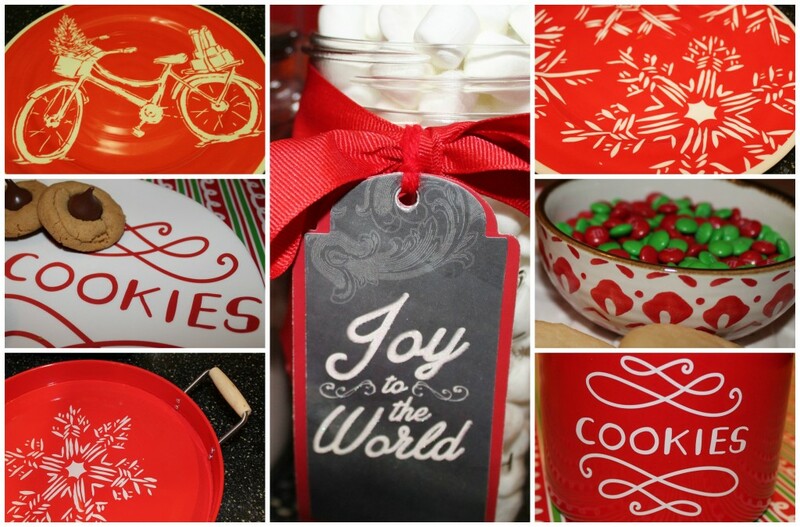 Will you be discovering a new holiday combination as you set up a coffee bar for your guests to enjoy? One of my favorite things about the holidays is decorating our home for Christmas. Out of all the decorations that I own, none are more cherished than my personalized ornaments. 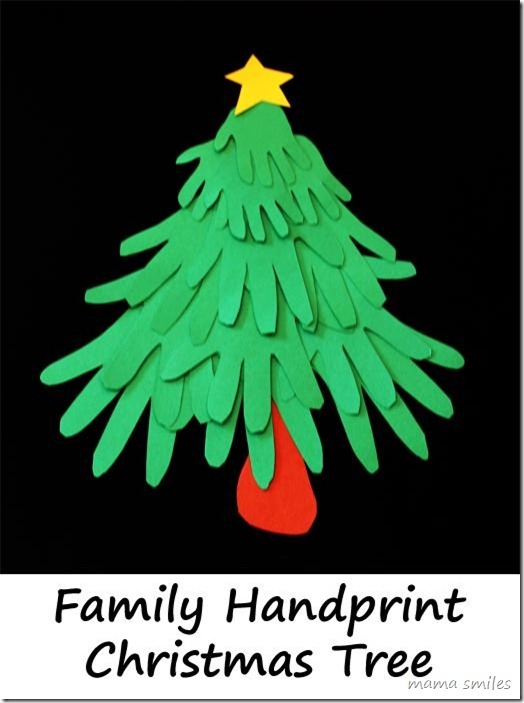 Most of my personalized family ornaments are “dough” ornaments that I have gotten over the years, from my childhood and through my parenting journey. They all have our names and the year we received them. This year I wanted to try my hand at creating our own personalized ornaments but wanted to add some memories to the ornaments so every year when we pulled them out we would think about fun times we’d had over the years. I’m loving rustic Christmas decor lately so I thought it would be fun to use round wood pieces to make some favorite memory ornaments for 2016. 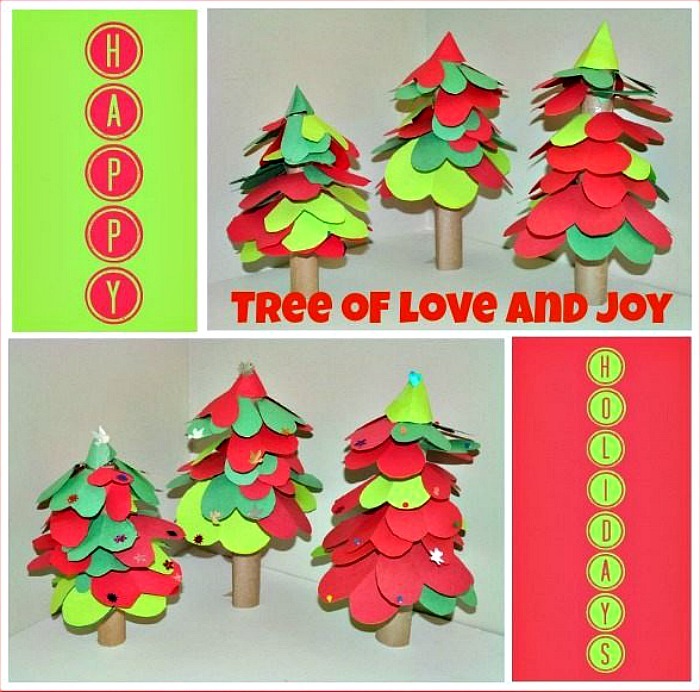 Originally I was going to get round wood pieces and drill a hole into them to make them into ornaments but I found pre-made wooden ornament packs in the woodworking section of my local craft store which made this DIY craft even easier. 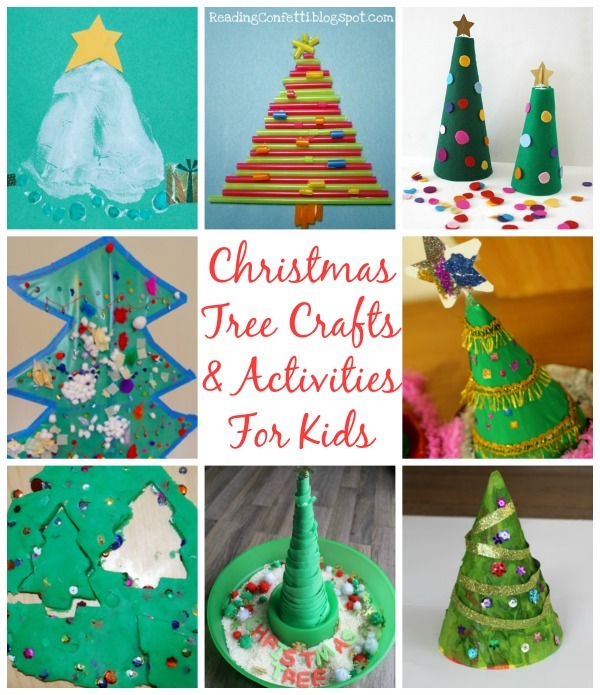 If you have a live tree you may even want to cut pieces off the bottom of your Christmas tree trunk (after the holidays) to make this craft. That would really make these ornaments special and personalized! 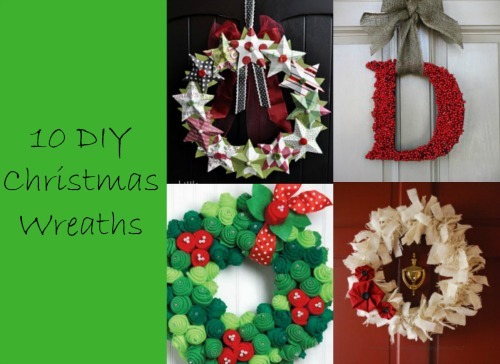 So other than your wooden circle pieces that have drilled holes towards the top you are going to need pretty ribbon and Sharpie markers. I chose to use the new Sharpie Extreme Permanent Markers because they are fade-resistant. There would be nothing more devastating than creating these special ornaments only to take them out of the decorations box years later to find the ink had faded and you couldn’t read the special memory that you’d written down! These new markers are also specially formulated for wood (along with plastic and glass) so I knew they’d be best for this project. The first thing I had to do was switch out the twine for some festive ribbon. I got double sided ribbon that was polka dot on one side and striped on the other. I recommend using thin ribbon but if you have thicker ribbon, like I did, you can just roll it to get it through the hole in your wood. One it’s through, tie a knot in the ribbon so that you’ll be able to hang it on your Christmas tree. 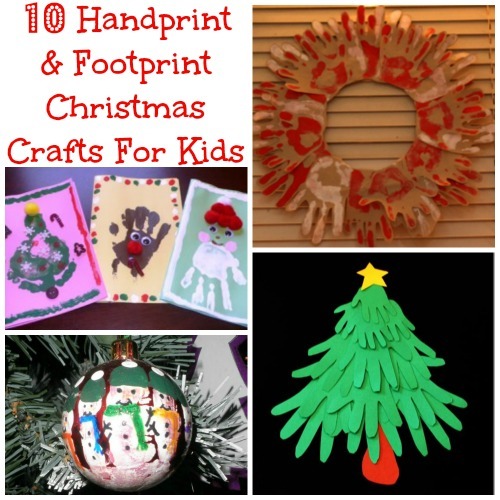 You’ll want to create one ornament for each person in your immediate family. The last step is to write on the ornament. Using my green Sharpie Extreme Permanent Marker, I wrote everyone’s name and the year on one side of the ornament. I then asked my family members what their favorite memory from 2016 was and wrote that memory down on the opposite side. 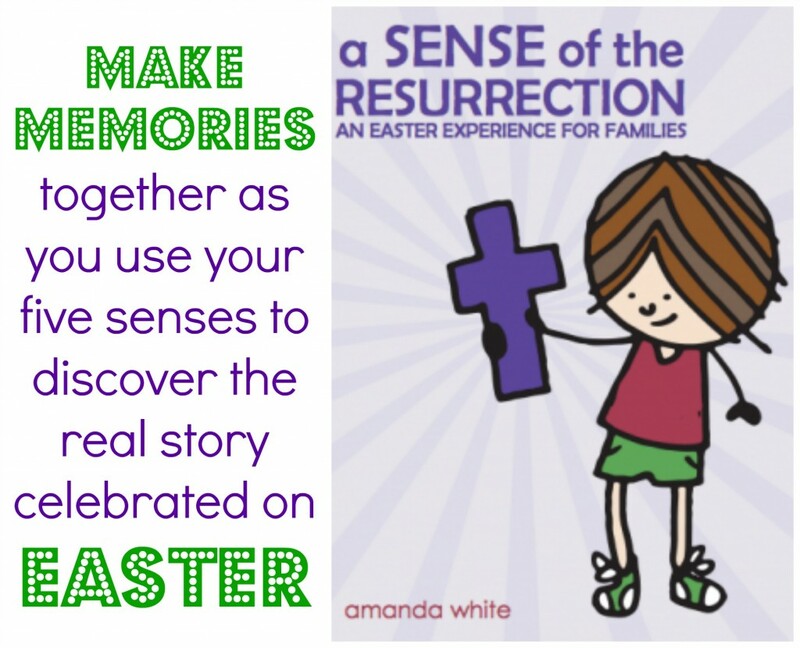 If you have younger children you might want to talk about some of the things you did throughout the year so you don’t end up with their favorite memory being what you did the day before because that’s all they can remember doing. With this year being our first Disney trip I wasn’t surprised that both Jacob and Sinisa listed Disney as their favorite memory. Lucas thought back to one of our summer day trips at a local theme park and decided his favorite memory was when he rode roller coasters there. I had a lot of great memories this year but chose our Mackinac Island vacation, where I showed my family the place I’d loved visiting as a child, as my top memory. I was so excited to put these ornaments on the tree and know that they are going to bring back wonderful memories every holiday season. 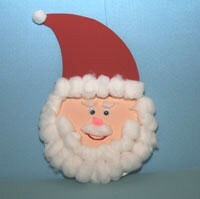 I will be making these ornaments every year as our new family tradition. 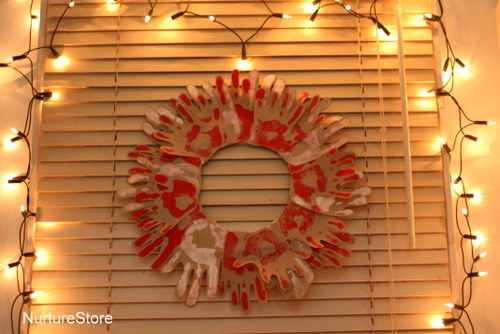 What memories would you put on your ornaments? Disclosure: Some items were received for consideration but all thoughts are my own. This post contains affiliate links. One of the last things “Santa” has to purchase every holiday season is stocking stuffers. “Santa” tries to limit the candy in the stockings and instead stuff it with small necessities and a few fun items. 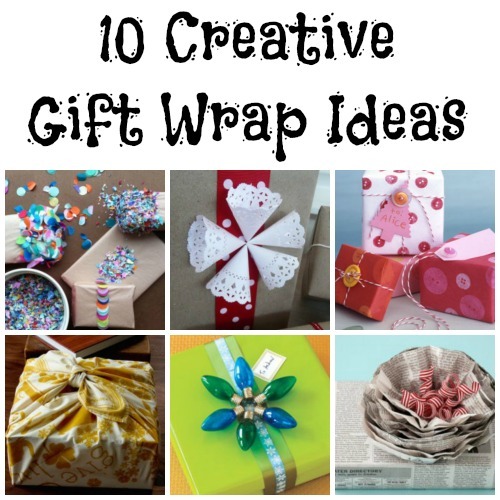 If you are still looking to fill your stockings I wanted to share some ideas of things you can put in them. 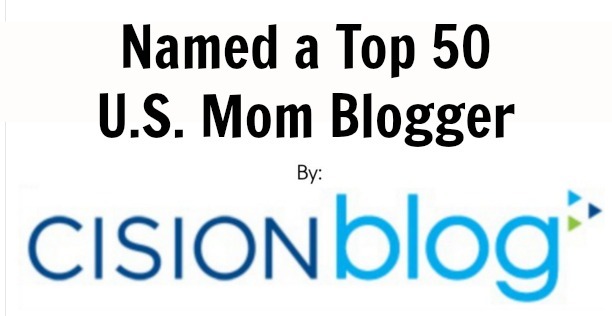 This list has something for everyone from kids to teens to adults! 1) Nail polish and nail art – Espionage Cosmetics offers a line of cruelty free nail wraps in fun designs like the rose ones pictured above. They are easy to apply, do not require a heat gun, and when mastered it only takes 5 to 10 minutes to apply. 8) Gloves 9) Toothbrush – The kids love BrushBuddies! There’s a new Shopkins Brite Beatz one that plays the Shopkins theme song along to synchronized lights. Brite Beatz helps improve oral care making brushing fun for kids. Shopkins theme song will play for the dentist recommended two minutes. Shopkins Brite Beatz has fun characters on the handle and a comfortable grip for kids. 15) Body spray 16) Reusable bags – Urban Market bags are stylish, high quality, reusable shopping bags that are eco-friendly and completely washable. These bags are made from a lightweight nylon fabric with strong stitching that makes them extra durable and the ideal reusable tote bags that will last for years. Best of all, they are compact when not in use which make them ideal for stashing in your glove compartment box, your purse or anywhere else you may need to keep it. 22) Stuffed animal – Bears for humanity is a great choice because for every stuffed animal purchased, another is given to a child in need. The bears are made using only certified organic materials by at-risk women in welfare-work programs right here in the US. They have a number of animal pals to choose from so you can find the perfect companion for the little one in your life! 29) Headphones – Cozy Phones are awesome because not only are they headphones but they keep the head and ears warm at the same time. There are lycra, mesh lines ones for active people and also fun, fleece animal ones for kids. 35) Guides – You can purchase a guidebook that teaches a new language or skill but Deckopedia is cool because it makes guides in deck form. 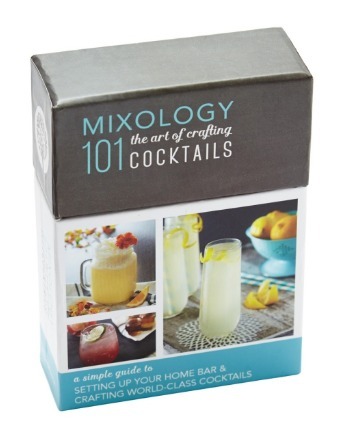 Fun ones include Mixology 101: The Art Of Crafting Cocktails and Natural Beauty Skincare, a collection of homemade beauty recipes. 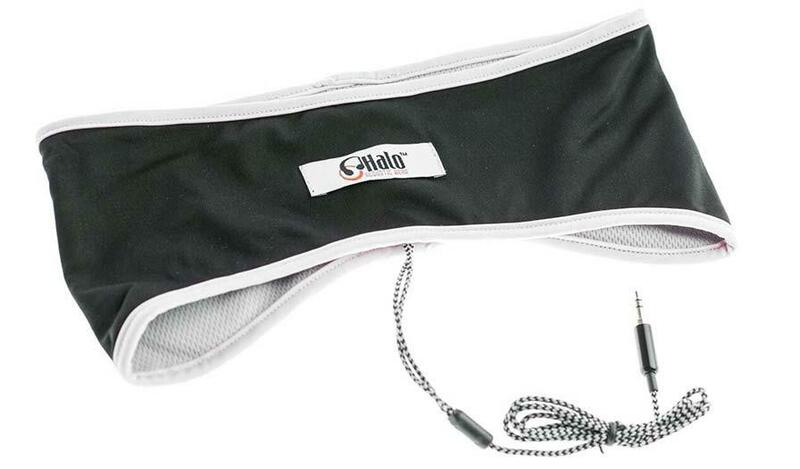 43) Face masks – 7th Heaven makes a variety of single use masks that are available at Walmart. Their mud masks are enriched with nourishing active ingredients to deep cleanse, leaving skin fresh, clean and glowing. Peel off masks purify skin enabling all the natural goodness to nourish and pamper skin to perfection. Exfoliating masks deep cleanse and polish to remove stubborn surface blackheads and awaken dull skin and renew skin texture. 50) USB charger – Ezisoul’s multi-port charger is the perfect travel charger because it let’s you charge 5 devices (phones and tablets) at once using only one charger. Engineered with Auto Detect Technology, this USB port charger lets you plug any device, Android and Apple, into any port and the smart charger will get exactly what it needs to charge the device rapidly and effectively. I’d love to hear any other ideas you have! One of my favorite ways to celebrate the Christmas holiday is to have my family over to spend time together. Christmas Eve is our big celebration at my house and I always have a table full of appetizers. I don’t just do parties a little bit. I go all out and make as many appetizers as I can. We then enjoy the leftovers as we lounge around on Christmas Day (because nobody really feels like cooking after all the work of the holidays has ended in ten minutes of unwrapping frenzy). 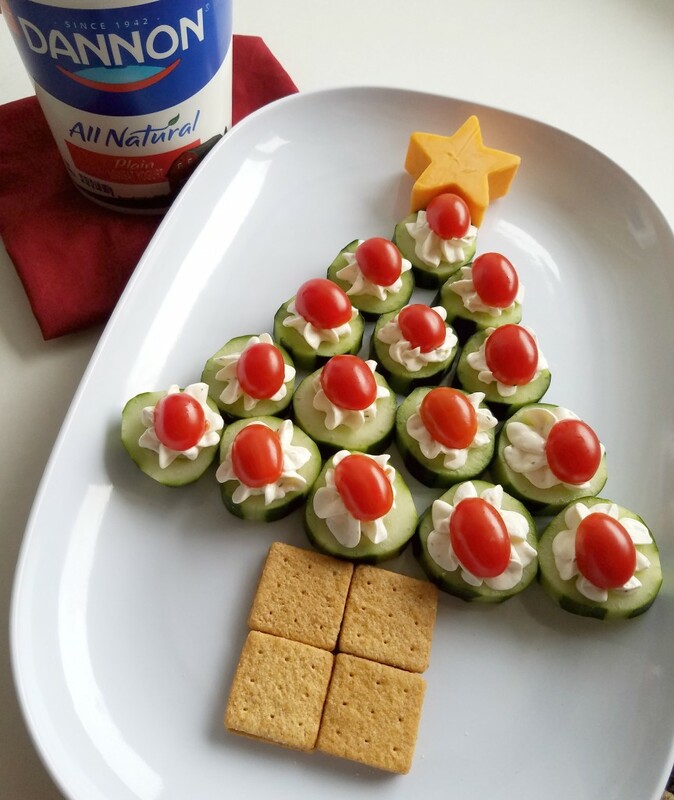 If you do any entertaining over the holidays you’ll want to make this fun Christmas tree shaped appetizer. 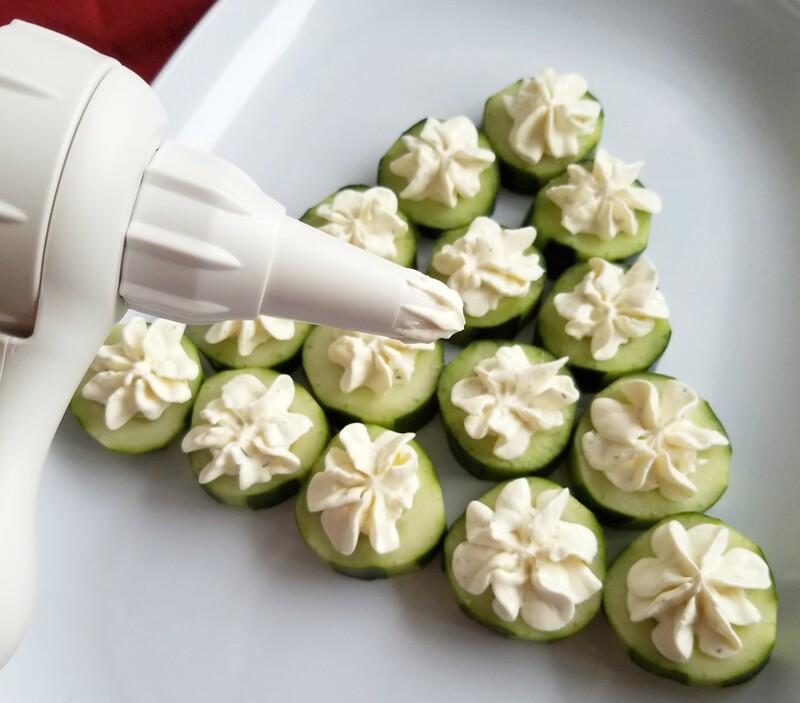 I love cucumber bites but I decided to change them up a bit after having a gyro for lunch one day and wanted to make the topping for them taste somewhat like the tzatziki sauce I love. To do so, I added dill and feta cheese in to try to recreate the flavor. You could always add in some ranch mix instead of the dill and feta cheese if you’d rather. Since I was making this recipe for the first time it was a bit of trial and error trying to get the thickness right. 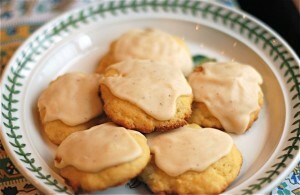 The texture of the creamy mixture on top should be similar to the texture of frosting. You don’t want it to be thin and runny. I think I nailed it after making a couple of adjustments. To start you will want to add your yogurt, cream cheese, feta cheese, dill, garlic and lemon juice into the cup of your food processor and blend until you have a thick, creamy consistency. 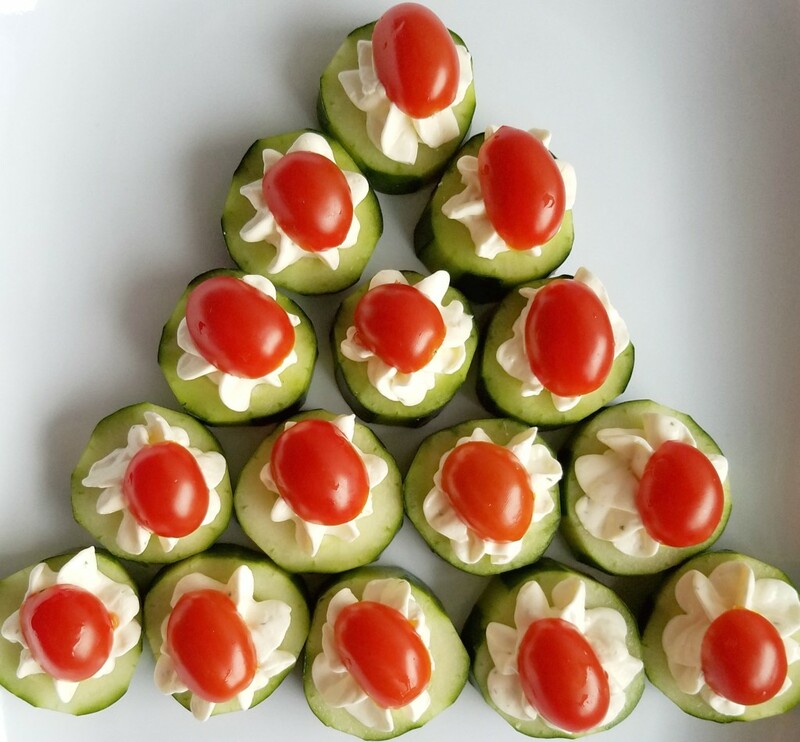 Once you have your topping you’ll want to cut your cucumbers and cherry tomatoes. Before cutting your cucumbers you can use a vegetable peel to take the skin off or you can leave it on. 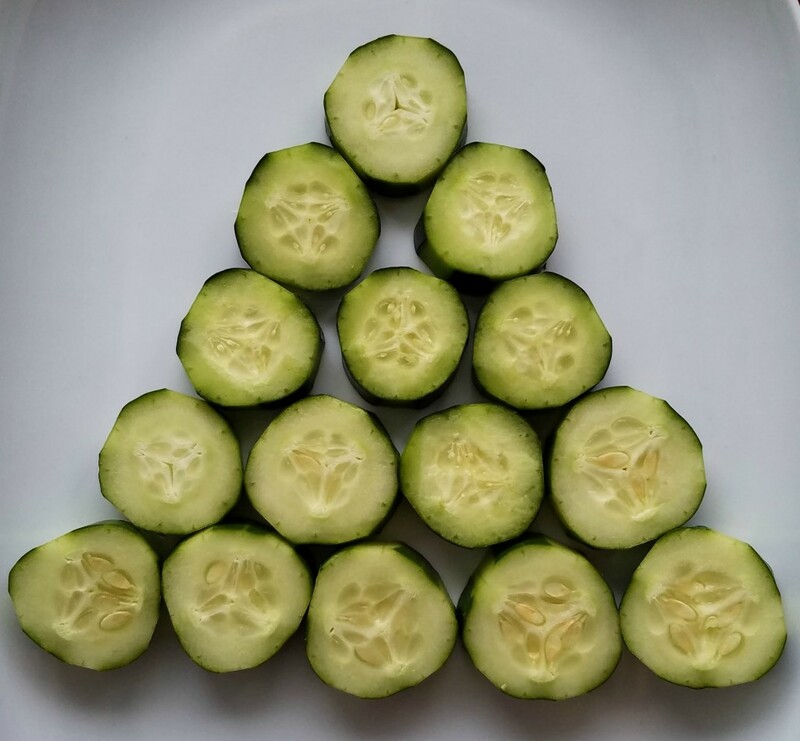 Cucumbers should be sliced about an inch thick and cherry tomatoes should be cut in half. 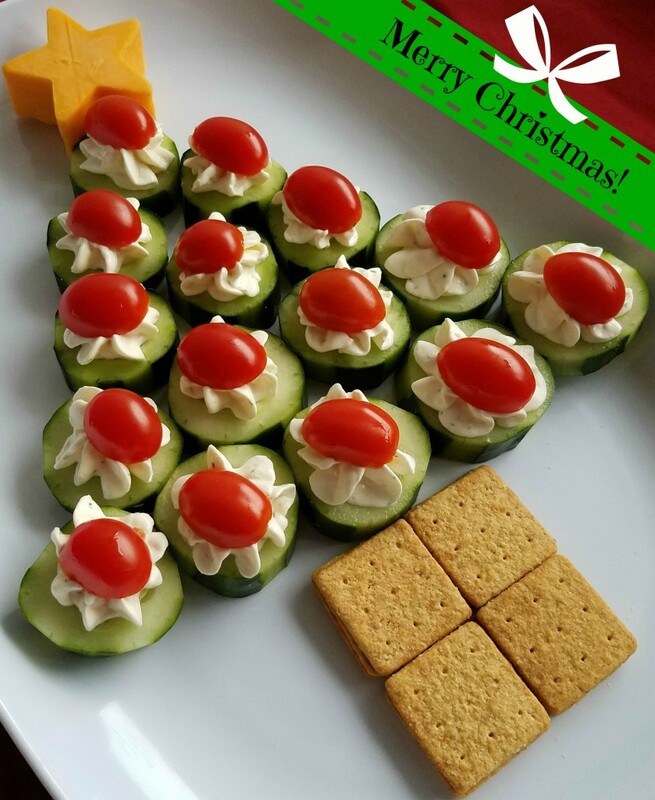 Set aside the tomatoes and place the cucumber slices on your tray to look like a Christmas tree. You may need more than one platter if you have smaller sized trays. To top the cucumbers I put the cream filling in a frosting decorator tube with a frosting tip but a piping bag works just as well. If you don’t have either of those you can always use a plastic sandwich sized bag and just cut one of the corners off to squeeze the topping through. 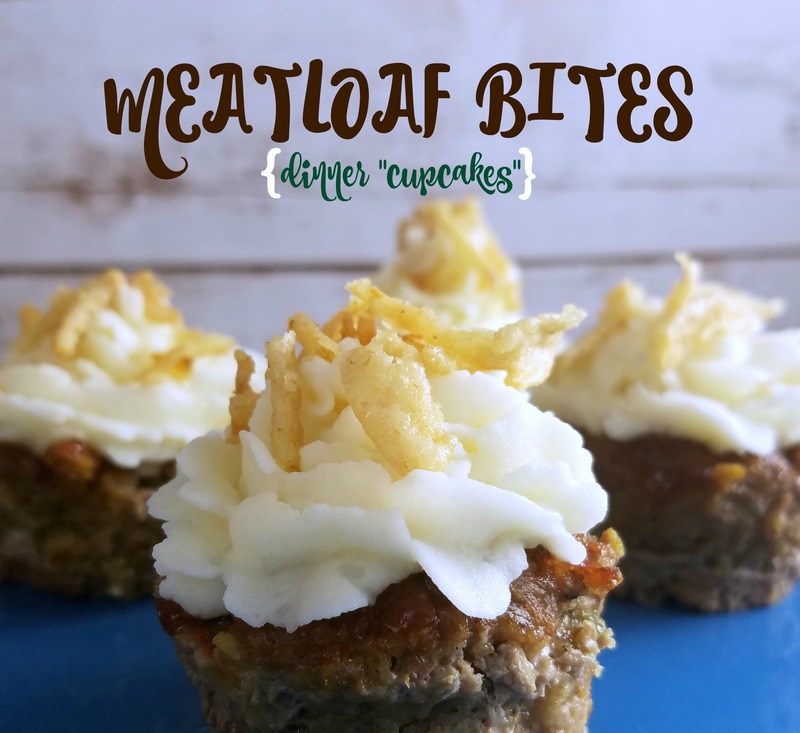 I liked how fancy they looked with the special tip and I wanted to get some use out of the frosting decorator that I had discovered as I was cleaning out my pantry this week. 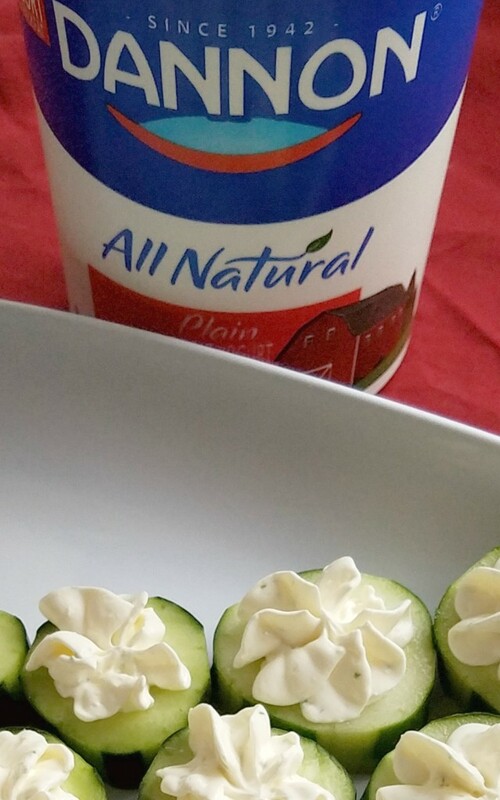 Once the cream mixture is on the cucumbers you’ll want to top each one with a piece of tomato. 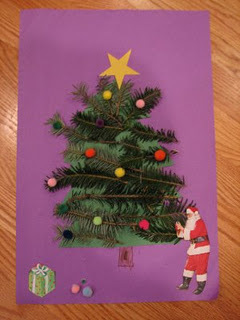 The last step is to add the “trunk” of the tree and the star. Both are optional but I thought they really made things look festive. To make the trunk of the tree I stacked crackers on the tray and for the star I used a cookie cutter to cut a star out of a brick of cheese. 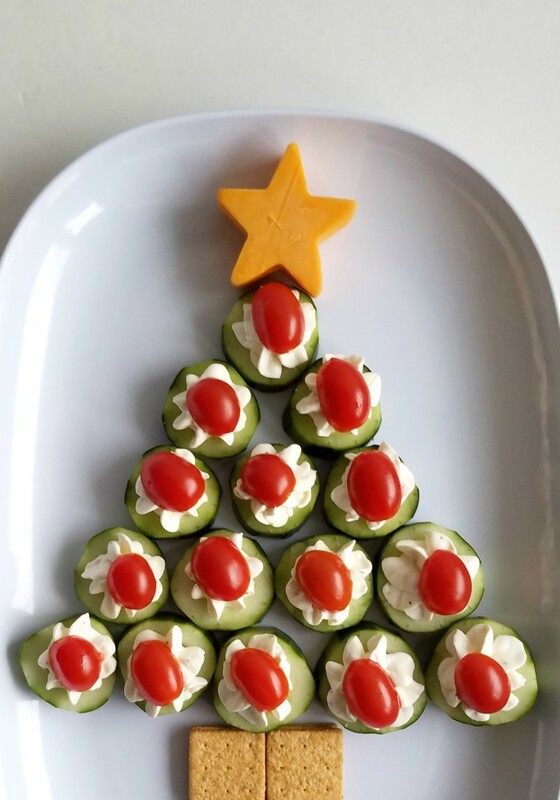 I love how my Christmas “tree” turned out and I know my guests will love eating these appetizer bites. As I shared a couple weeks ago, I love using Dannon All Natural Plain Yogurt in my recipes because it’s made with only natural ingredients. While it can be enjoyed on it’s own, I often use it as a cooking substitute in recipes. Many recipes for these cucumber bites use other ingredients like sour cream or mayo but I chose to make mine with yogurt to make it a bit healthier. 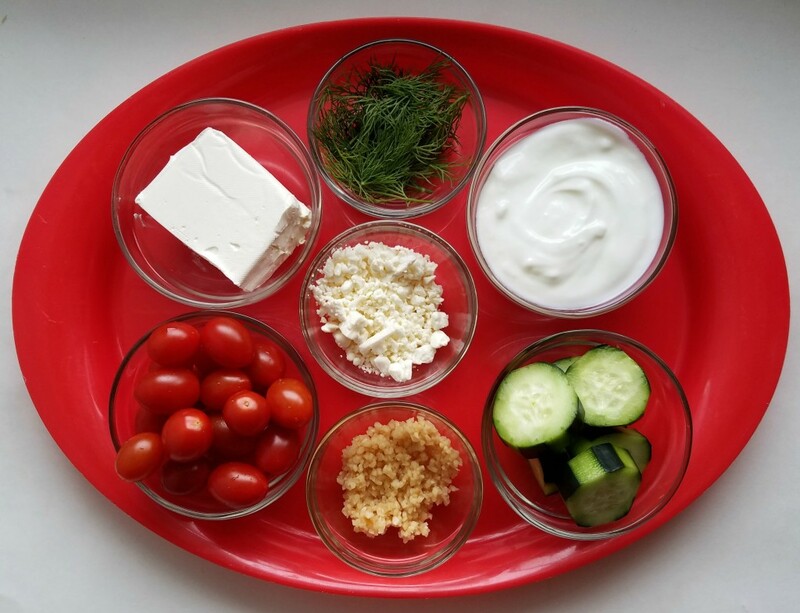 Yogurt is also a great base for any dips you may be making this holiday season! 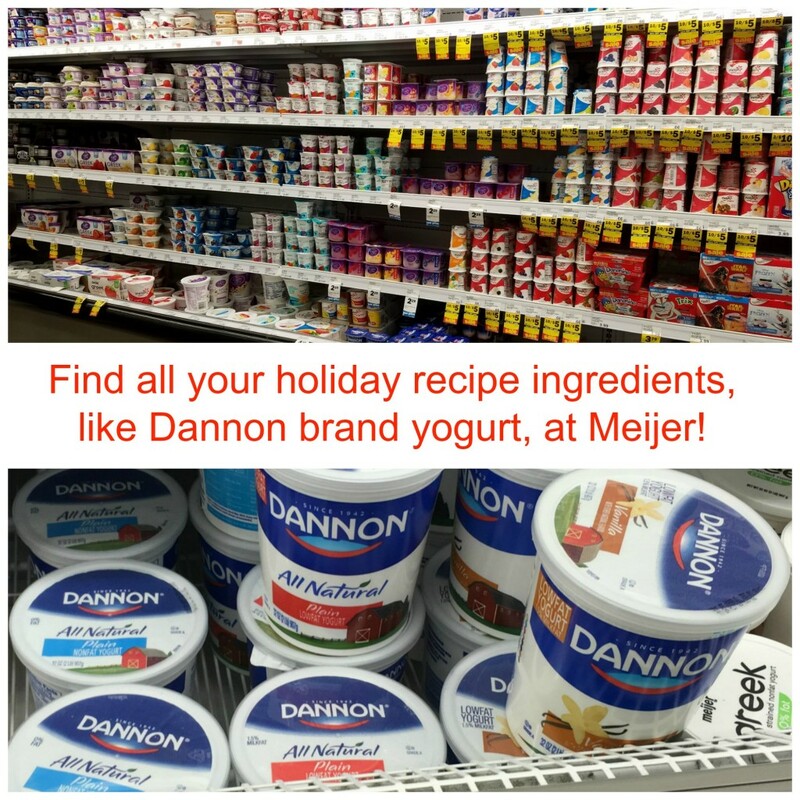 You can find Dannon brand yogurt at your local Meijer store. Will you be entertaining in your home over the next few weeks? 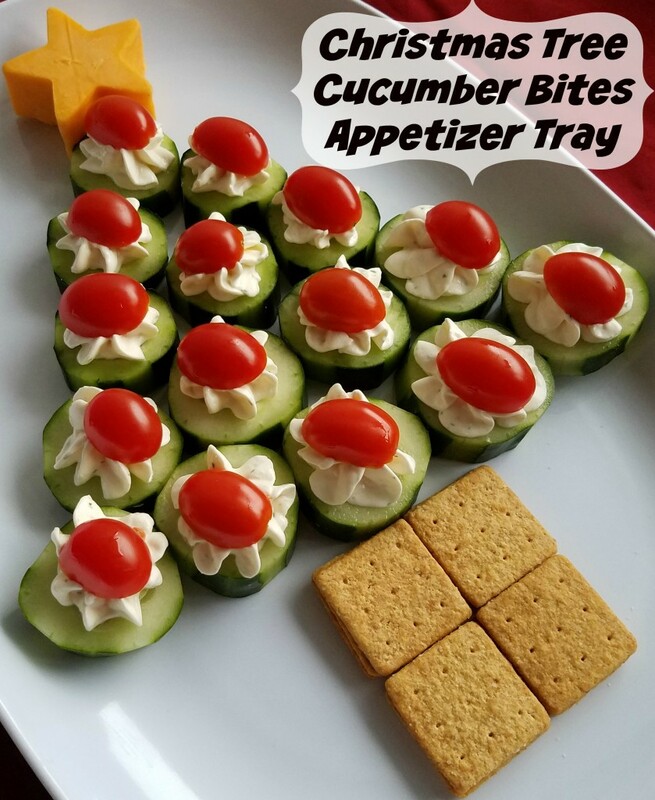 If so, what kind of appetizers do you set out for your guests? The Christmas Pickle Tradition is a wonderful holiday story that reminds us all about the true spirit of Christmas. Follow the journey of Pickle Elf as he learns the magic of giving, and inspires Santa to begin this wonderful Christmas tradition. Want to join in the fun this holiday? It’s easy! Leave the pickle ornament by the milk and cookies for Santa to hang on your Christmas tree. In the morning watch your loved ones, big and small, search for the pickle. 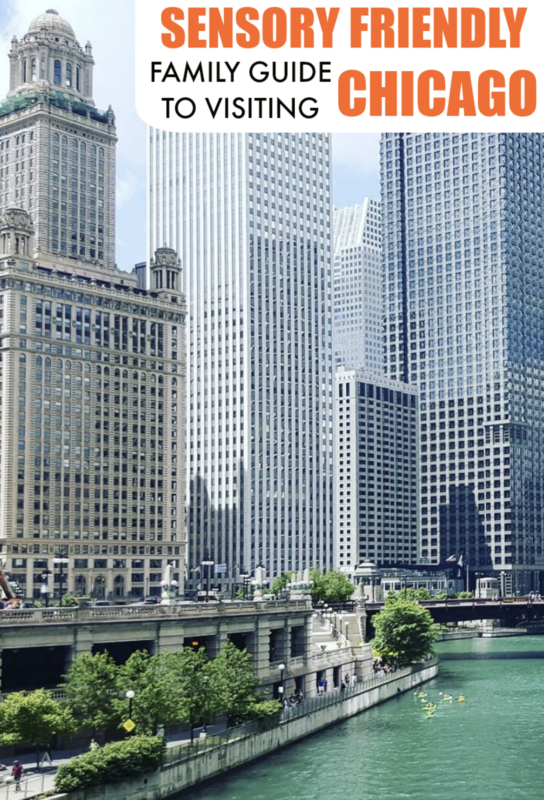 The first one to find it will receive an extra present from St. Nick! This is our first year doing the tradition and we can’t wait to see where Santa hides it on Christmas morning! The beautiful gift set comes with a glistening pickle ornament, annual pickle finder and the beautiful Christmas Pickle Tradition book in a ready-to-gift box. If you’d like to start this tradition this year it’s not too late! You have until December 20th to ensure Christmas delivery and the shipping is free. Purchase this gift set here. My favorite holiday is Christmas. I love the extra family time and gift giving but one thing that really sets this holiday apart is all of the traditions that go along with it. From baking cookies to watching holiday movies to drinking hot cocoa while looking at light displays, everything makes the holiday just a little more special. Gus and Sam are two of Santa’s reindeer. They decide to visit girls and boys to help Santa see who’s being naughty or nice. Sam gets sad whenever he sees a child who is naughty and ends up telling Santa. Gus sticks around to keep watch. When the two realize that there isn’t enough time to visit all of the children before Christmas, they call on their friends for help. They send their friends off in pairs of two, and assign each pair to a home. 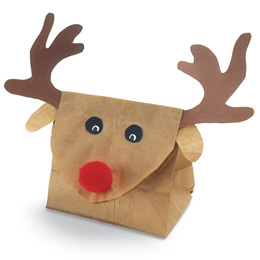 Reindeer 1 will disappear to tell Santa any time someone has been naughty. Reindeer 2 will always stick around to keep watch. 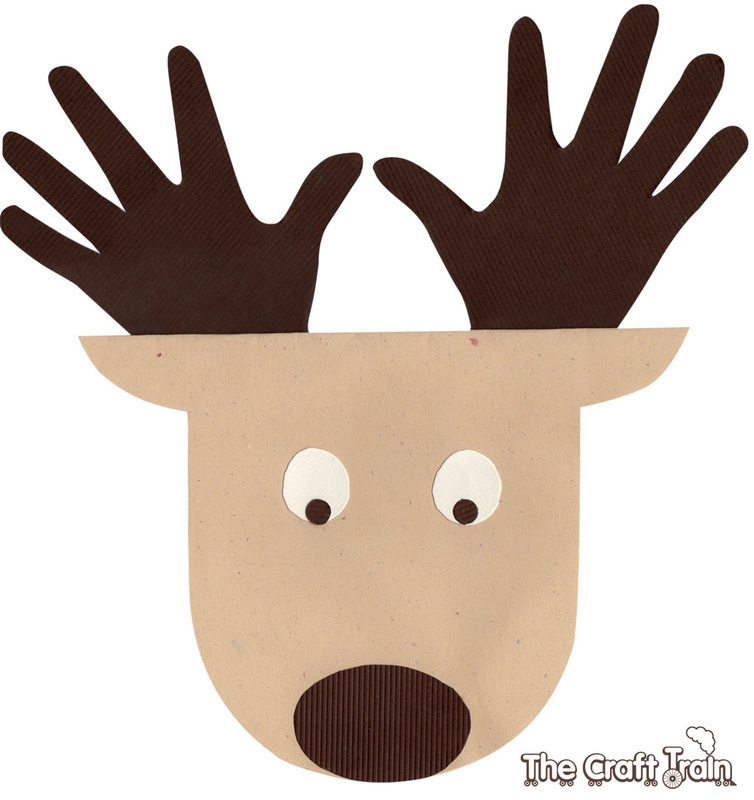 If you are like me and forget to move the Elf you will love this because the reindeer stay in one spot most of the time! The only time one of them moves is if they have to go tell Santa something and then they can be gone for 30 minutes or a couple days. It’s not as rigid of a schedule as the Elf and I really appreciate how much easier it is. 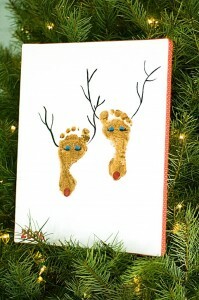 Want Roaming Reindeer of your own? Purchase a kit here. We have one more week of school before the boys are out for Christmas break. Both boys get Occupational Therapy in school to help regulate their bodies so if I don’t have any sort of sensory activities planned for their two weeks off things will be really crazy at our house. 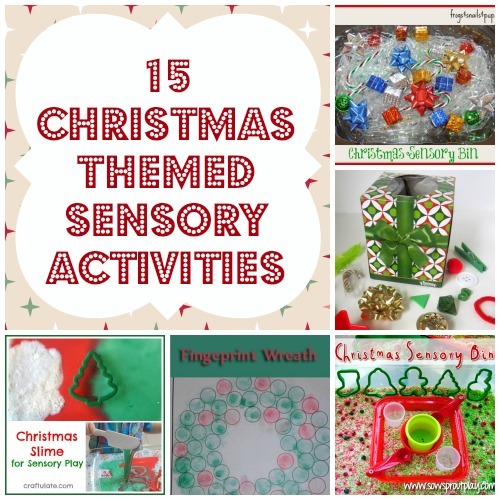 Here are 15 of my favorite Christmas themed sensory activities that I’ve found online. 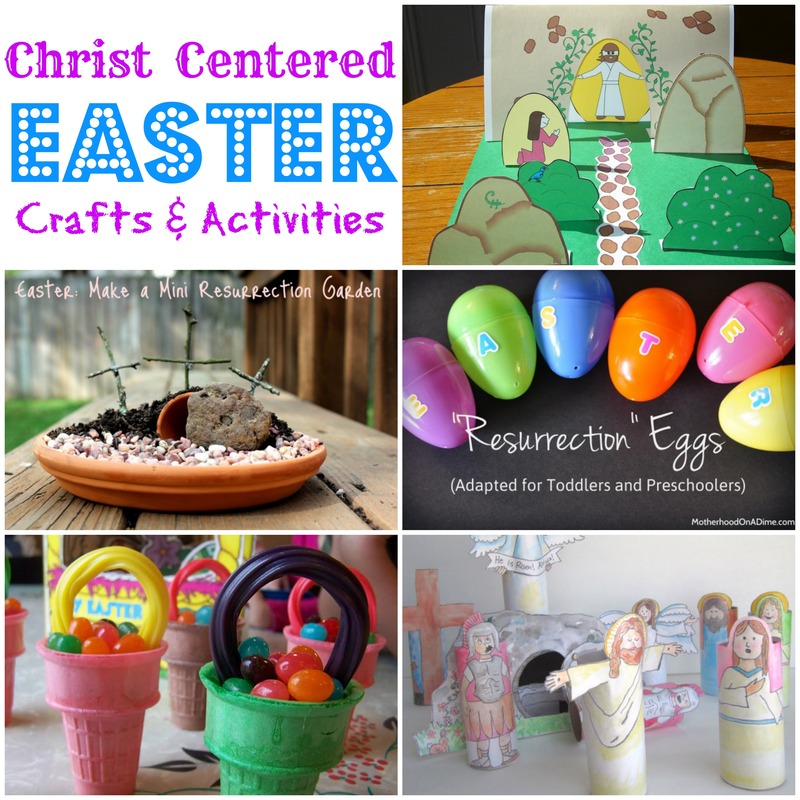 Click on the links to get all of the details so you can recreate the activities yourself! 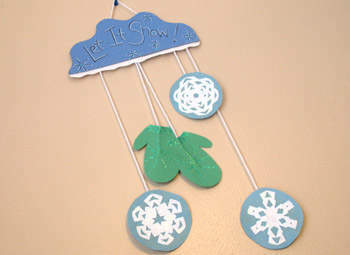 With all the snow we got recently I was inspired to gather a bunch of snow related crafts kids can make. 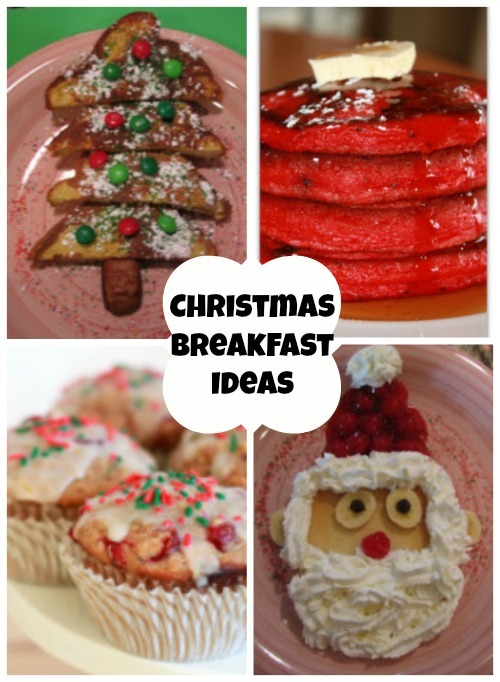 One Christmas tradition I loved as I was growing up was having a big breakfast on Christmas morning. We used to open our stockings from Santa, have breakfast, and then it was finally time to open gifts. My dad used to make casseroles for breakfasts but now that I have my own family we need to figure out what we want to make. Sinisa is European and loves making crepes with nutella so that is an option but I wanted to get some more ideas so I headed to Pinterest for some inspiration. 5) Watch a Christmas themed movie. Jacob and Lucas both love Caillou’s Holiday Movie. 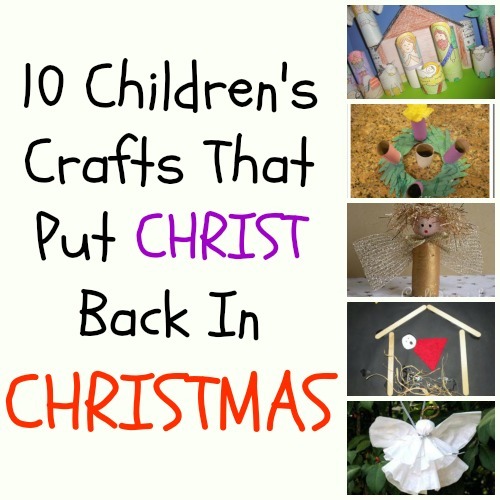 14) Read about the birth of Baby Jesus and make him a birthday cake. 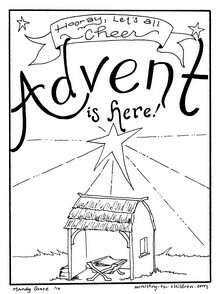 You may also enjoy my post on 7 ways to celebrate the reason for the season! 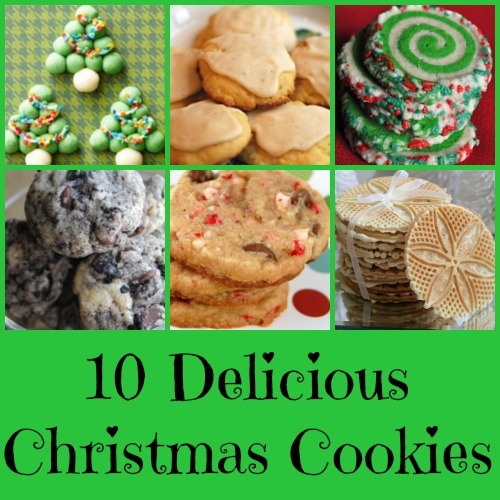 Today’s Top 10 Tuesday post is a roundup of ten cookies I want to try this Christmas season. Click on the pictures to be taken to the posts they come from.